This update is an estimate, based on information available to management as of the date of this release, and is subject to further changes upon completion of the company’s standard quarter and year-end closing procedures. 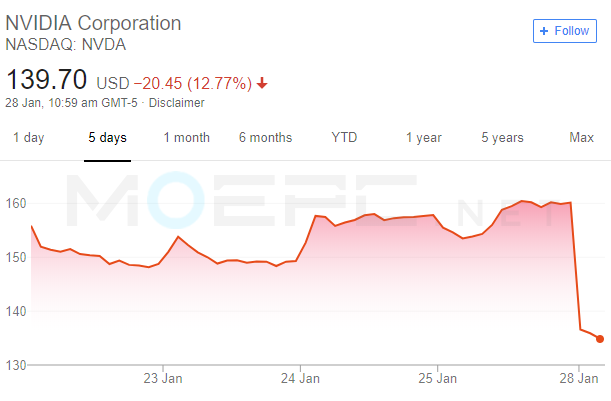 This update does not present all necessary information for an understanding of NVIDIA’s financial condition as of Jan. 27, 2019, or its results of operations for the quarter and fiscal year ended Jan. 27, 2019. 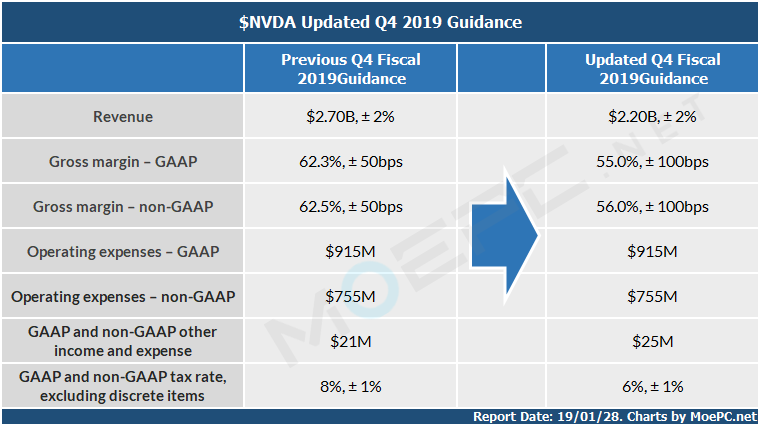 As NVIDIA completes its year-end financials close process and finalizes its financial statements for the quarter and year ended Jan. 27, 2019, it will be required to make significant judgments in a number of areas. It is possible that NVIDIA may identify items that require it to make adjustments to the financial information set forth above and those changes could be material. 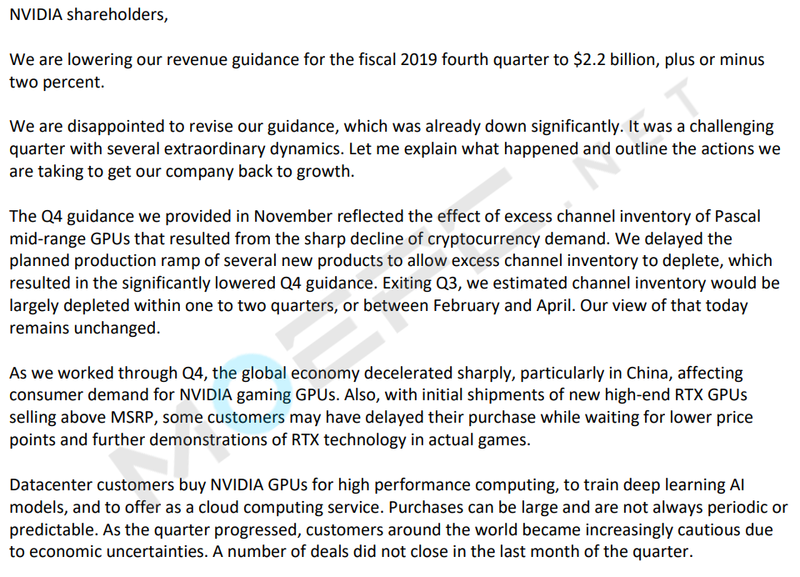 NVIDIA does not intend to update such financial information prior to release of its fourth quarter and year-end financial statement information, which is currently scheduled for Feb. 14, 2019.